Today’s main news: Smava raises $34m; Lenddo partners with FICO in India. Today’s main analysis : PeerIQ’s analysis of securitization and pricing. Today’s thought-provoking articles: Blackston’s “now is the most difficult period ever“. Lendup has 29% of non-performing-loans. Amazing info and data from PeerIQ on the securitization market and loan pricing. A beautiful must understand and must know chart. Funding Circle CEO correctly correlates “golden age” with the fact that marketplace lenders are growing at 144% per year. In the usual industry growth curve first once starts with a solution and no problem. Then a problem is found. It is then followed by an exponential growth. Which will then be finished by a consolidation segment? I strongly believe we are still in the exponential growth in p2p, marketplace, and alternative credit markets. Orchard’s Weekly Report. As usual, a very practical summary of the whole industry pulse. I find interesting how the AltFi index and the OrchardLend index don’t correlate. I also find interesting how the week to week interest rates jumps so much. They are down this week, and it is unclear why. A very interesting comment: Blackstone’s top dealmaker says now is the most difficult period ever. A must read. The Wall Street Journal article on the LendUp fine we covered last week. It’s interesting for the numbers and data they share: 29% of loans were Non-Performing Loans (NPLs ) as of end of last year. That’s huge. Note that the title of the article was poorly chosen as I had the impression that Upstart was also fined. Landbay pairs with new rental comparison partner. Smava, leading marketplace in Germany, raised $34m. German fintech is getting hotter. Monte del Paschi may have found a purchaser for their NPL (nonperforming loans). This was one of the main pain points in Italy’s finances. An interesting discussion of the shadow vs above-water banking , their NPL, and different scenarios. The NPL in China has been the elephant in the room for a while. Lenddo and FICO partner to enter India. This is very unusual and shows maturity from both sides: FICO doesn’t have what Lenddo has. Lenddo doesn’t have what FICO has. A great logical deal, beyond all the rhetoric of anti-bank and anti-establishment. Several marketplace lending ABS deals are coming to market amidst favorable market conditions and impeding risk retention rules. P2P Global Investments, a UK UCIT investing in marketplace lending loans, sold £114 M ($167.36 MM) of rated notes backed by Zopa loans. The senior bond of the deal—Marketplace Originated Consumer Assets (MOCA 2016-1)—was rated Aa3/AA by Moody’s and Fitch respectively. The MCOA 2016-1 senior bond priced 75 bps better than April SBOLT 2016-1 deal consisting of Funding Circle loans. Investors noted the quality of the data as a factor explaining the price difference as well as market conditions. PeerIQ also notes the substantial variation in agency provided cumulative loss and recovery estimates on SBOLT 2016-1 in our prior newsletter underscoring the need for specialized capabilities to evaluate this unique asset class. It was also reported that Prospect Capital, a NYC-based Business Development company, is working with Morgan Stanley to bring a $150 MM unrated offering consisting of seasoned Lending Club loans to market under the Murray Hill Marketplace Trust 2016-LC1 shelf. Seasoning is an important consideration for investors and an increasing theme in recent ABS transactions and secondary pool sales. PeerIQ expects this trend to grow particularly as originators incentivize contributed collateral “club deals” to achieve standardization while also providing a quarterly path to liquidity for whole loan investors. Sophisticated loan-level analytics are required to accurately value seasoned loans contributed to the collateral pool. Aged portfolios offer greater clarity to loan performance. However, there are other analytical considerations. The average conditional default rates (CDRs) are lower in the first twelve months of consumer loan pool than CDRs in the pool seasoned beyond twelve months. 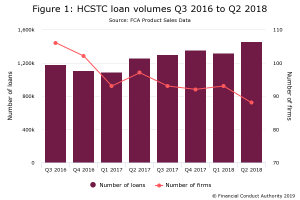 Therefore, seasoned unsecured consumer loans pool tend to have higher cumulative net losses as a percentage of deal balance. As the loans season, the conditional prepayment rates (CPR) tend to be elevated as well. As losses ramp up, the loan price drops; and then price exceeds par as risky loans approach maturity. This behavior results from positive survival bias of a loan given its remaining principal balance. Specifically, in the early life of a loan, the credit loss projection ramps up and dominates the loan coupon—the loan price drops below par. As the loan seasons and survives over time, the credit risk on the remaining principal balance decreases. This survival bias of the credit risk profile leads to certain high credit risk loans valued above par. For a higher coupon loan, the interest return or carry of the loan dominates loan pricing—the loan price exceeds par. At maturity, if the loan has not experienced any credit impairment, the price of the loan will be par; this leads to a “pull-to-par” profile. We look forward to releasing the Q3 securitization tracker this week. As origination volumes have slowed in certain areas, and as ABS markets started with a slow Q1, readers are asking what is the state of the ABS market? You may be surprised. Stay tuned as we share volumes, pricings, and our outlook this week. The CEO of marketplace lender Funding Circle says the industry is going through a “golden age” despite troubles for platforms like Lending Club this year. Funding Circle is the UK’s biggest marketplace lender, worth over $1 billion. So why does Desai think we’re in a golden age? “If you look at the net returns that have been generated by marketplace lending platforms, they have been the highest of any asset class over the last 5 years with the lowest levels of volatility. If you look on the borrower side, borrowers flock in their droves to this kind of customer experience. Loss margin reduced from 132% to 116%. Funding Circle acquired Zencap last year, a deal that took the peer-to-peer lending platform into Germany, Spain, and the Netherlands. As a result, Funding Circle doesn’t expect to make a profit this year. As I pointed out recently, the UK’s two biggest marketplace lenders — Funding Circle and Zopa — have lost a combined £50 million over the last decade and Funding Circle has yet to make a profit. Funding Circle raised £97 million in April last year, taking its total funding to over £200 million. Le Luel, Funding Circle’s chief risk officer, recently shared the fact that the company dialled back loan volumes in the US after loan performance went off track. The firm is still selling more assets than it’s buying, according to President Tony James. Blackstone finished gathering $18 billion for its latest private equity fund last year. The firm also has an energy private equity vehicle, which finished raising $4.5 billion last year. Blackstone, founded by Schwarzman and Peter G. Peterson in 1985, managed $356 billion in private equity holdings, real estate, credit assets and hedge funds as of June 30. LendUp extended nearly 75,200 installment loans in California last year, up about 110% from a year prior, according to the California DBO. The amount lent out on these loans last year surpassed $22 million, up 225%. Missed payments are also high. Some 29%, or 5,921, of the unsecured installment loans outstanding at the end of last year were 30 or more days past due, according to a report from the California DBO. Peer-to-peer (P2P) lending platform Landbay has launched a new comparison tool that will help tenants and landlords to compare their rents against the prevailing market rate as rental values continue to spiral. The ‘Rent Check’ facility, which has launched today (Monday), utilises data from the P2P lender’s monthly rental index and allows users to compare rental movements for specific property types to check that rents are tracking the wider market. Zoopla invested £500k in the startup earlier in the year which guaranteed it exclusivity for new Landbay products that will be rolled out across its network of property websites Zoopla and PrimeLocation.com. Smava, a leading marketplace lender in Germany, has clinched $34m in a round led by Runa Capital, with additional participation from Verdane Capital, mojo.capital and a gaggle of existing investors. Runa is an active investor in the alternative finance sector, having already invested in consumer lender Zopa and gateway platforms Lending Robot and Lendio. Verdane is a Scandinavian private equity firm with a track record of investing across the consumer internet space. Alexander Artopé, CEO and co-founder of smava, said that the $34m will allow the company to expand its customer base, hire additional talent and to enhance its credit scoring technology. Investors including Cerved Credit Management SpA and a venture between KKR & Co. and Varde Partners LP submitted non-binding offers on Friday for Banca Monte dei Paschi di Siena SpA’s non-performing loans platform, according to people with knowledge of the matter. As part of the deal, the lender will also transfer management of an 8.6-billion euro ($9.6 billion) loan portfolio to the platform’s buyer, along with the exclusive management of a portion of Monte Paschi’s future bad loans, the people said, asking not to be identified because the process is private. Monte Paschi, which is being advised by Mediobanca SpA, plans to complete the sale by the end of the year, the people said. China’s banking regulator has indicated that the government would not bail out failed firms in the shadow banking sector despite a string of recent collapses which have triggered protests across the country from disgruntled investors. Wang Shengbang, a senior official at the China Banking Regulatory Commission, said investors putting their savings into high-yield debt products should be aware of the risks. Among the most troubled have been peer-to-peer (P2P) online lending platforms. The collapsed Ezubao, which raised more than 74 billion yuan ($A14.5 billion) from nearly a million investors across the country, is being investigated over claims it ran a Ponzi scheme. Some 21 people from the P2P firm were arrested earlier this year. He said only around 17 per cent of shadow banking products, or around 3.2 trillion yuan ($A640 billion) were held in riskier high-yield products, which is around 1.5 per cent of China’s overall banking assets. In a recent report, Moody’s said P2P lending did “not pose systemic risks given its small size” at about 1 per cent of total shadow banking assets. Liu Li-Gang, chief China economist at Citi, said while (NPLs) were higher than official figures indicate, the level was still manageable. Lenddo was founded in 2011 to improve financial inclusion for 1 billion people around the world, enabling financial service providers to access and serve new and underserved markets using its disruptive technology and leveraging new sources of digital data, such as mobile-social digital footprints.